Originating from Traditional Chinese Medicine (TCM) it is a predominantly used safe intervention utilised by physiotherapists in the management of pain, inflammation, and to enhance the body’s natural healing process. 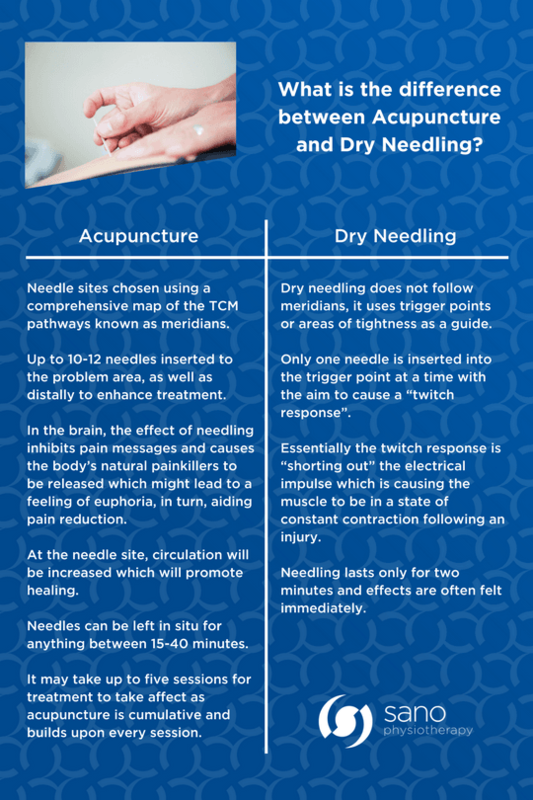 It involves inserting several fine needles into specific points throughout the body to reduce pain or alleviate the symptoms of a certain condition. Acupuncture treatment is undertaken with the aim of restoring the body’s systems to a state of balance. This is achieved by an initial physiotherapy assessment to determine the source of your imbalance. The most appropriate acupuncture points will then be chosen to facilitate the body’s return to a state of well-being, both mentally and physically. It can be particularly effective for helping ease the pain from long-standing and degenerate conditions along with muscle tightness and soreness. As of this, here at Sano Physiotherapy it is a commonly used treatment in conjunction with others. Musculoskeletal conditions affecting joints, muscles or tendons. Osteoarthritis (OA) in Knees – it was found to be superior in reducing pain and improving function over the short and long term. 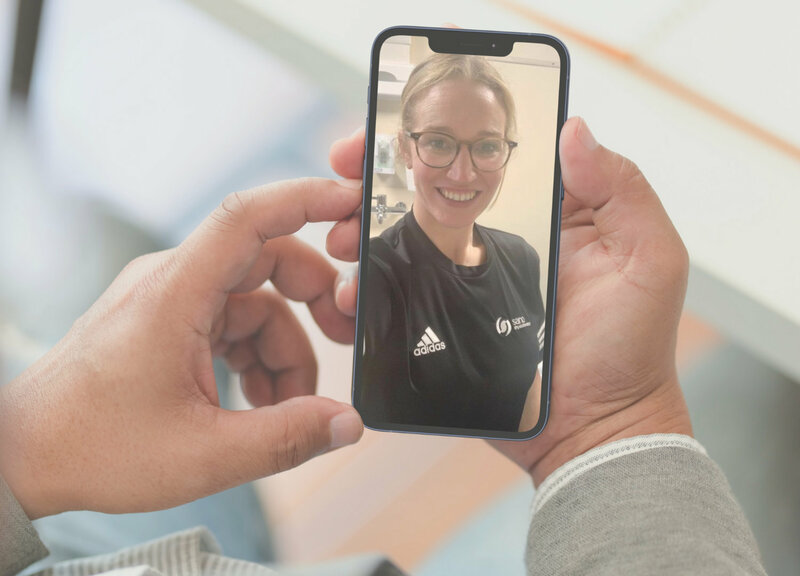 Frozen Shoulder – combining acupuncture with a home exercise programme can be more beneficial than exercise alone for short term pain relief, movement and functional improvement. Tennis/Golfers Elbow – it can provide longer pain relief and symptom management when compared to other treatments. Achilles Tendon – a 4-week course of acupuncture has been shown to be successful in reducing pain and facilitating return to sport in runners who have had issues with their Achilles Tendon. How will Acupuncture make you feel? Initially, a slight sharpness or pinprick. An increase or decrease in temperature. Tingling, pins and needles or numbness.